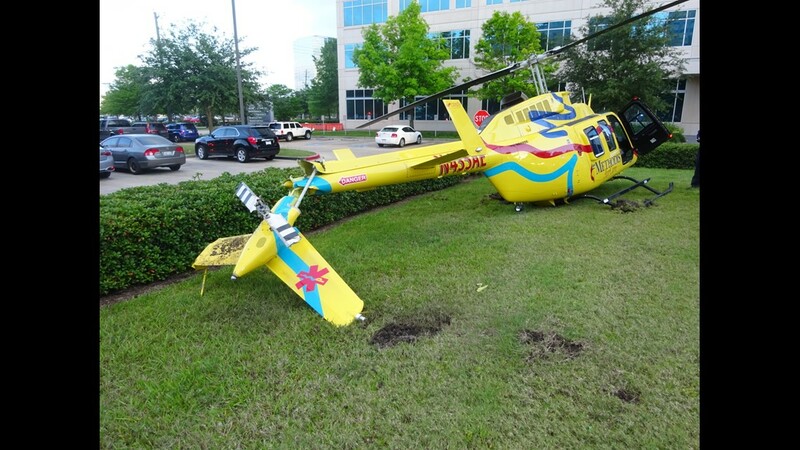 HOUSTON – A medical helicopter made a hard landing shortly after liftoff outside Memorial Hermann Hospital in the Memorial area. The Medical AirCare helicopter crashed in a grassy area near a helipad, snapping the back end of its tail rotor. The chopper had flown in from Seguin, Texas, to drop off a patient. No patients were on board at the time of the crash and the three crew members on board didn’t sustain any injuries. Memorial Hermann officials said no damage was done to the hospital. The National Safety and Transportation Board and FAA are investigating the incident. Hospital officials said patient flights will be diverted to other Memorial Hermann hospitals until the helipad can be reopened.